Henry Dunfee cultivates his 1940s backyard Huntington garden after work at a time when most people had gardens. Now gardening is once again on the rise as people recognize its health and budget advantages. Like thousands of other master gardeners, Carter Zerbe consults his manual while planning his next project. As late as the 1950s, most West Virginians raised a garden. By the year 2000, after processed foods saturated the market, only about a third of West Virginians raised a garden, and gardens were smaller, according to the American Gardening Association. “If you want to get people gardening, one of the best things you can do is build up your local supply of master gardeners,” Danilovich said. Master Gardeners agree to give volunteer time to promote gardening in their community. Your local extension agent agent can arrange a training program, she said. West Virginia’s Master Gardener program is free. In Greenbrier County, more than 70 people were certified master gardeners by the end of 2013. Statewide, there are about 2,000. 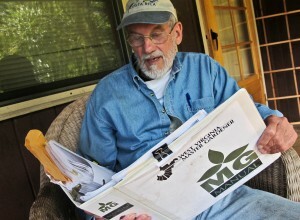 In 2011, master gardeners contributed 40,000 volunteer hours, Danilovich said. “You’re talking about a half million dollars in volunteer labor.” In WV, a volunteer hour is valued at $17.57. * Putnam County’s master gardeners helped build and operate elementary school greenhouses. In Greenbrier, they gave free public gardening workshops. * Monongalia master gardeners give pruning and medicinal herb workshops. Kanawha master gardeners build raised beds for seniors. 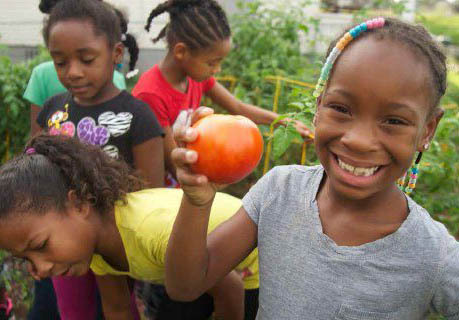 Dozens of public schools have started school gardens, often using the Junior Master Gardener program. Through Tucker County High School’s greenhouse program, students supply the school cafeteria with greens and sell plants to the public.“Students are going home and bugging their parents to garden,” said Tucker County High School agriculture teacher Terry Houser. 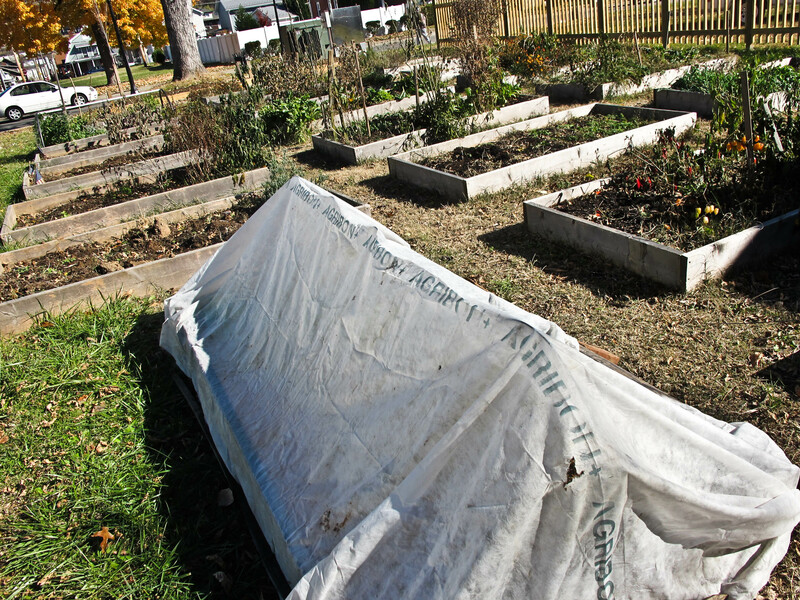 “Our real goal is to get the community gardening again,” Houser said. What can your community do to get people gardening again? Offer community workshops. Work through WVU Extension and/or other interested organizations. Recruit from your master gardeners (See below). Extension offers gardening workshops ranging from pruning to Testing the Ph of your soil. Build up your supply of Master Gardeners. They must volunteer in their community yearly to keep up their certification. So the more you have trained, the more volunteers you may have. Master gardeners can help set up community gardens, help with school gardening projects, teach community gardening courses, etc. You can ask them to help with any of the projects listed below. Ask your local Extension agent for the list of master gardeners in your area. If there are none, ask your agent to schedule a class. 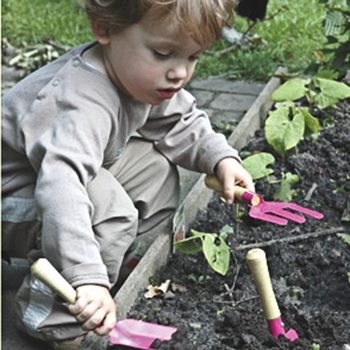 It’s never too soon to introduce the healthy job of digging in the dirt. Start a horticulture program in the public schools. Here’s a link to the Try This page full of information and examples. Create community gardens or more community gardens. Here’s the Try This community gardens page. Bag gardening: Here is one commercial source, to help you see the possibilities. But you can also make your own. Schedule cooking classes and preserving food classes that help people turn their gardens into a yearlong supply of healthy food. 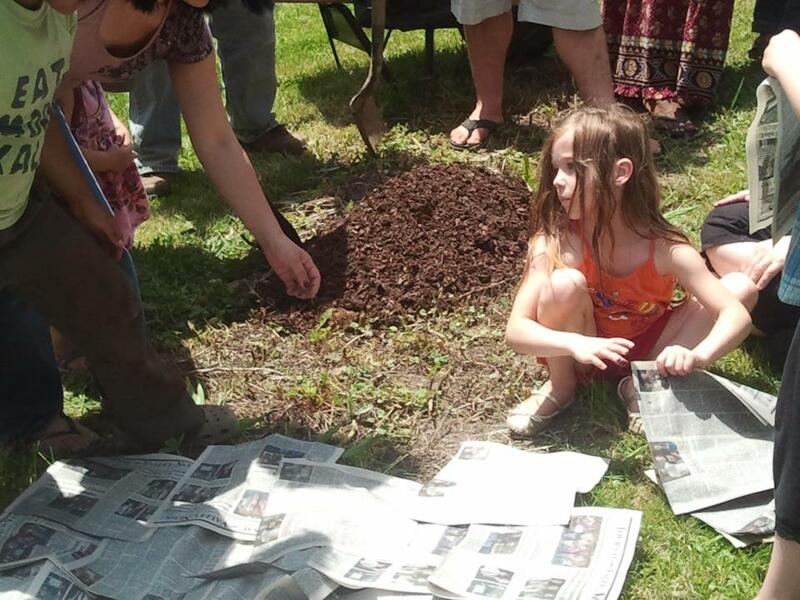 The Green Wheeling program held gardening workshops in various Wheeling neighborhoods, including this “No-dig gardening” workshop. I have a tiny home garden on the East End in Charleston, and although it is small, I am proud of the herbs, tomatoes, green beans, figs and pears and enjoy sharing the bounty with friends, coworkers and neighbors. WVU Extension Service is a great way to find gardening classes. They have an office in Kanawha City. Contact them or go see them! They offer all kinds of classes and services.